The holidays are fast approaching, and family productions are getting underway. 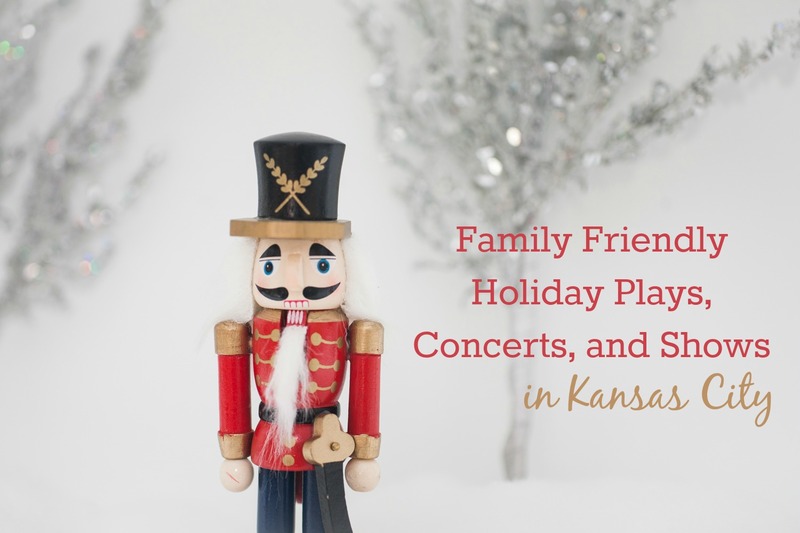 This year's Kansas City area family friendly holiday shows include concerts, plays, ballets and even a puppet show! Professional theater company whose concert-style productions bring alive the American Musical like never before. Full bar and free parking. FREE Kids tickets - one with each adult purchase.Learn more. From the creators of How I Became a Pirate, another pirate adventure--this musical adventure goes to the North Pole. A mysterious message left in the crow's nest of their ship brings Captain Braid Beard and his pirate mates back to North Beach to seek out young Jeremy Jacob to help find the Christmas treasure. Tickets $10. Learn more. Kansas City's grandest holiday concert returns for six performances. The Symphony and Symphony Chorus present stunning musical arrangements of cherished Christmas carols and songs of the season, and welcome exciting guest singers and musicians for a healthy dose of Christmas cheer. Plus, an early visit from Santa! Learn more. Based on the beloved 1946 film, this musical faithfully follows George Bailey's life from his childhood dreams to his midlife disappointments and beyond, as we all take a journey to discover whether his life has mattered at all. Cinematically scored and theatrically staged, this adaptation breathes musical life into a familiar story, while retaining the warmth, humor, and pathos of the original. A new holiday classic for devotees and newcomers alike. Tickets from $8. Learn more. Fountain City Brass Band's annual Christmas concert. Tickets from $5. Learn more. The story of Dorothy and her dog Toto and their adventures in a fantasy land has been delighting all ages for 75 years! See it brought to life at the Puppetry Arts Institute. Learn more. Tchaikovsky's holiday classic, The Nutcracker, performed on Johnson County Community College's Yardley Hall Stage. Don't miss the magic and tradition. A 40ft growing tree, snow falling on stage, and a live orchestra highlight Overland Park tradition. Learn more. The voices of the Dickens Carolers have been compared to those of heavenly angels! Treat yourdelf to a special holdiay gift as you relax and listen to your favorite holiday melodies sung by the Dickens Carolers in Concert. Learn more. With more sparkle than the Plaza lights, Heartland Men’s Chorus reminds you why there’s no place like home for the holidays. We’ll debut new arrangements of holiday favorites by five Kansas City composers, including Mark Hayes and Jake Narverud. Cast members from Late Night Theatre will drop in for a fabulous “Frozen” parody, and drag icon Genewa Stanwyck appears as “Angie the Christmas Tree Angel” to ring in the season Kansas City style. Learn more. A joyous holiday classic featuring the breathtaking sights and sounds - a magic Christmas tree, dazzling costumes and scenery, stunning choreography and dozens of beautiful dancers, all paired with the Kansas City Symphony playing Tchaikovsky’s unforgettable music. Learn more. Blend of traditional, popular, gospel, and classical holiday show will delight all audiences. Learn more. Trans-Siberian Orchestra (TSO) will wrap up 2014 by performing their rock opera The Christmas Attic live for the first time in arenas across the nation on their Winter Tour 2014 for two incredible performances. Learn more. Martians, rockets, elves, and even old St. Nick himself will join the galaxy of goofiness. Learn more. Join us in celebrating Rudolph’s 50 years on television and come see all of your favorite characters from the special including, Santa and Mrs. Claus, Hermey the Elf, the Abominable Snow Monster, Clarice, Yukon Cornelius and, of course, Rudolph, as they come to life in the all new Rudolph the Red-Nosed Reindeer: The Musical. It’s an adventure that teaches us that what makes you different can be what makes you special. Don’t miss this wonderful new holiday tradition that speaks to the misfit in all of us. Learn more.